Tens of thousands of people descended upon San Diego last weekend for Comic-Con 2018. Although Comic-Con first began as a smaller convention focused on comic books and related low budget films and shows, today the popular event has exploded to become the largest show in North America with a host of Hollywood blockbuster movies also partaking. As a result, amidst the incredible cosplay costumes flaunted by fans and impressive exhibits hosted by the industry’s most creative people, there are plenty of top television and films stars in attendance too. And where there are celebrities, there is almost always a slew of Rolex watches too. 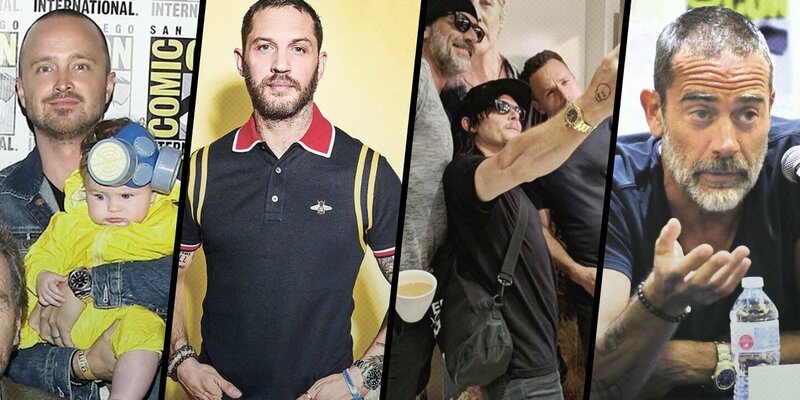 Find out what Rolex watches made it to Comic-Con 2018 on the wrist of some of the most popular celebrities right now. The man behind the supervillain Bane in The Dark Knight Rises, Tom Hardy, was at Comic-Con 2018 to promote his new film, Venom. While talking about his new flick, we couldn’t help but notice an awesome steel Rolex Submariner on his heavily tattooed arm. The Submariner ref. 116610LN to be exact, with the black Cerachrom ceramic bezel and black dial combo. M. Night Shyamalan brought Samuel L. Jackson and Bruce Willis back together again for the follow up to his Unbreakable film, which was released 18 years ago. Much to the delight of fans, Samuel L. Jackson and Bruce Willis were at Comic-Con 2018 to promote this new film, Glass. While there, Bruce Willis had a Rolex Sea-Dweller dive watch on his wrist. And because we spotted a Cyclops lens on the sapphire crystal of Bruce Willis’ Sea-Dweller, we know that it’s the latest SD ref. 126600 with the larger 43mm Oyster case that Rolex released in 2017. To celebrate the 10th anniversary of AMC’s hit show, Breaking Bad, the cast of the now-defunct series reunited at San Diego’s Comic-Con 2018 for a discussion panel. Actor Aaron Paul, who played Jesse Pinkman, arrived with his five-month-old daughter in tow. In the spirit of cosplay, tiny Story Annabelle was dressed in a Hazmat suit—much like her dad’s character in Breaking Bad. While he was holding his baby daughter, we clearly saw Aaron Paul’s favorite Rolex Datejust II on his wrist. Aaron Paul has been wearing this particular stainless Rolex Datejust II with a white gold fluted bezel and blue dial for a few years now and it suits him perfectly. Also at Comic-Con 2018 was the cast of AMC’s The Walking Dead, who were clearly enjoying each other’s company. One of the stars of the horror drama, Norman Reedus, who plays Daryl Dixon, had on his signature yellow gold Rolex Daytona chronograph. Sporting a sleek black dial, Norman Reedus’ precious Daytona is a striking contrast to his favorite all-black outfits. 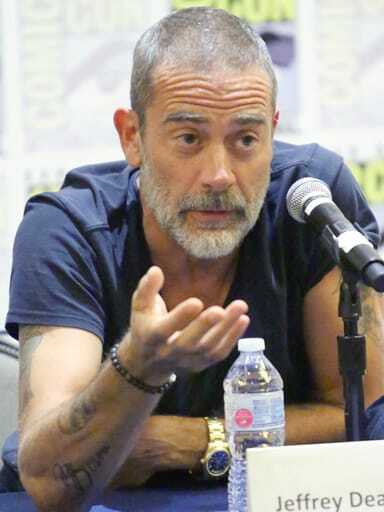 It seems that solid gold Rolex watches are a thing among the cast of The Walking Dead as Norman Reedus’ co-star Jeffrey Dean Morgan—who plays Negan in the show—also rocked one at Comic-Con 2018. However, Jeffrey Dean Morgan’s gold Rolex was none other than a Day-Date with a black dial. Yet, instead of the more traditional President bracelet and gold fluted bezel, Jeffrey Dean Morgan’s yellow gold Rolex Day-Date includes a smooth bezel and sportier Oyster bracelet. While we didn’t spot any Rolex “Batman” or Rolex “Hulk” watches at Comic-Con 2018, there were plenty of other awesome Rolex watches worn by celebs to fawn over.